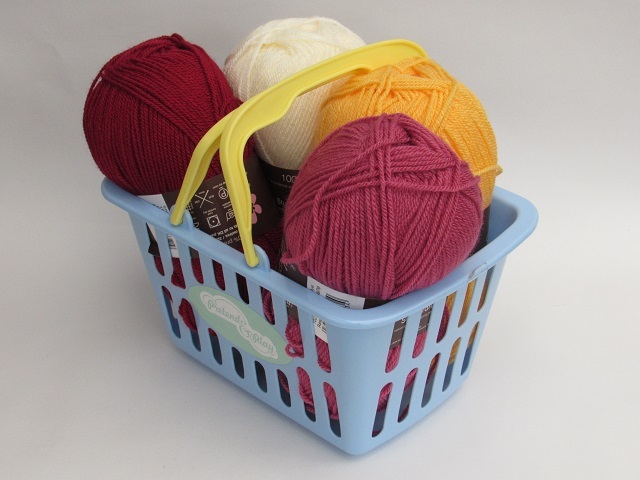 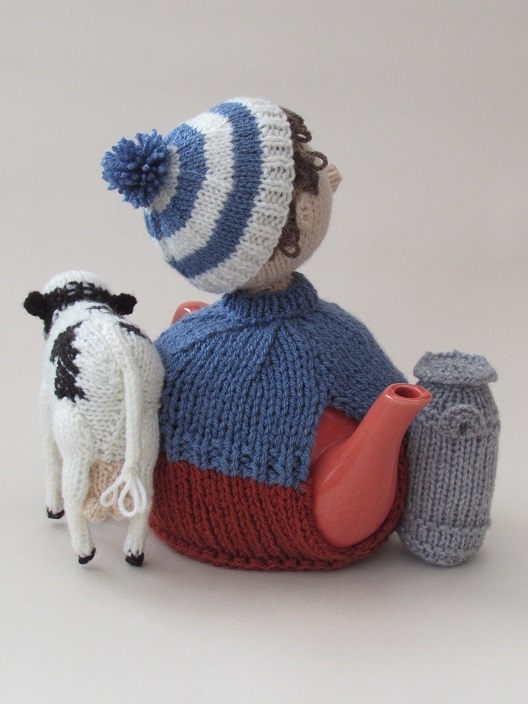 The dairy Farmer tea cosy is a super cute addition to the farmers tea cosies. 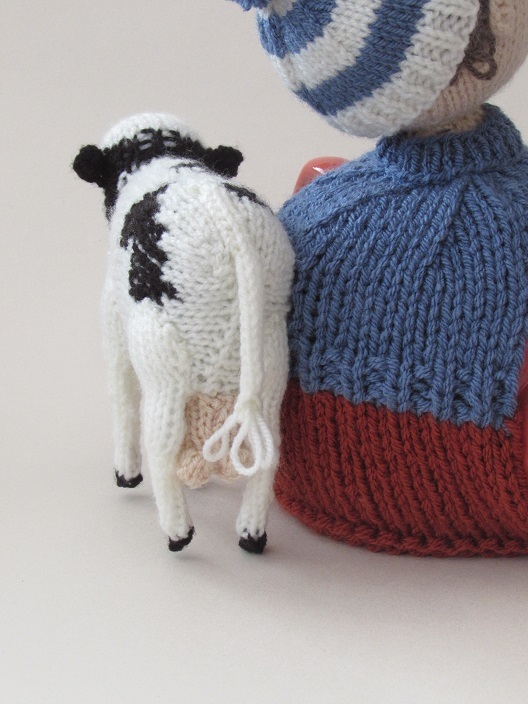 Being a dairy farmer he has a blue jumper and a blue and cram bobble hat, because it's especially cold on the morning milking round! 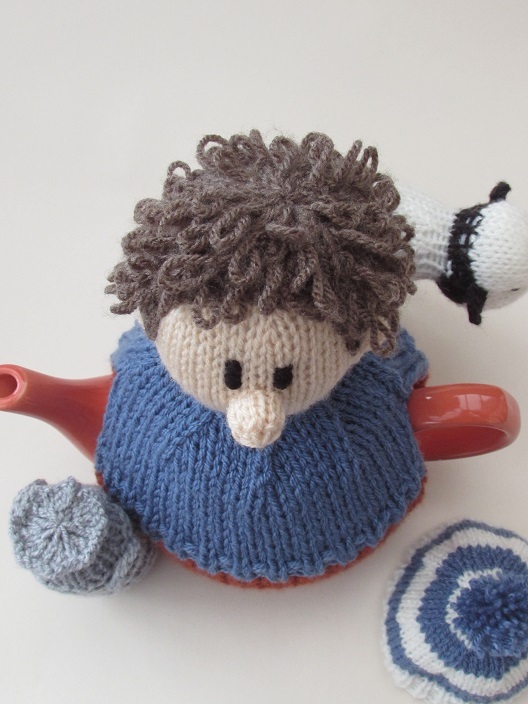 The hat is removable to reveal a wild curly hair style. 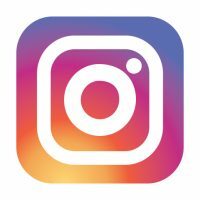 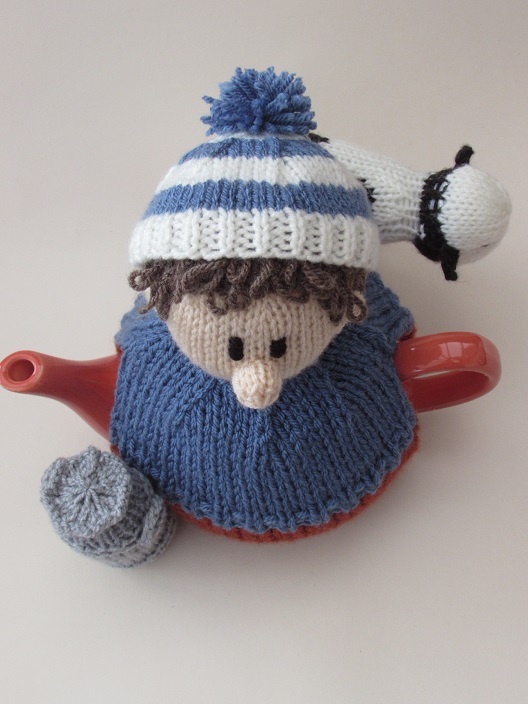 The pattern tells you how to achieve the straight look too. 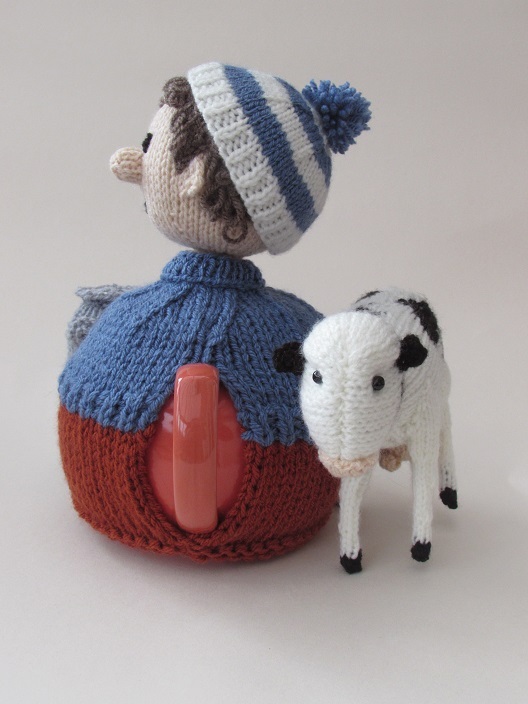 The farmer has one of his dairy herd behind him ready for milking and in front of him is an old fashioned milk churn. 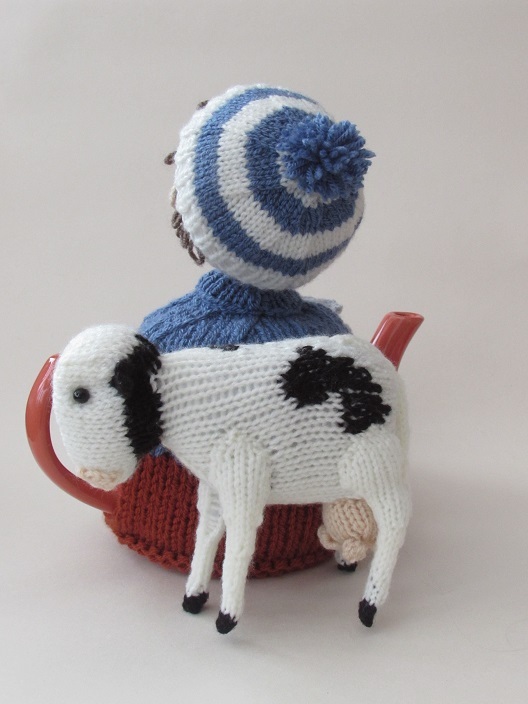 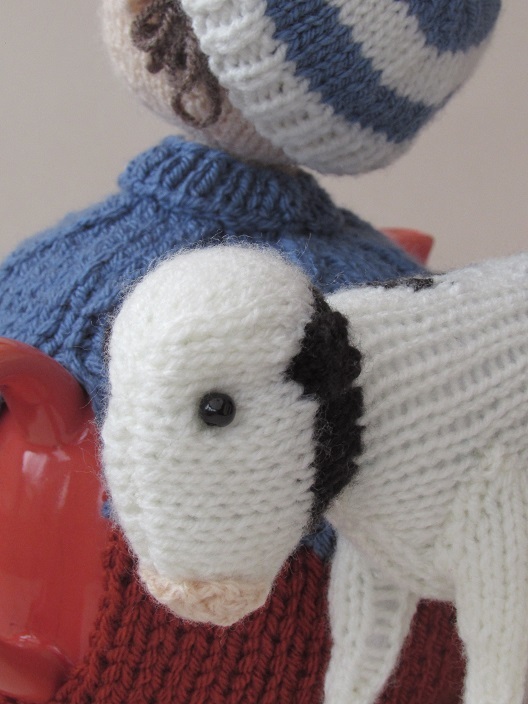 The cow is sewn to the back of the tea cosy. 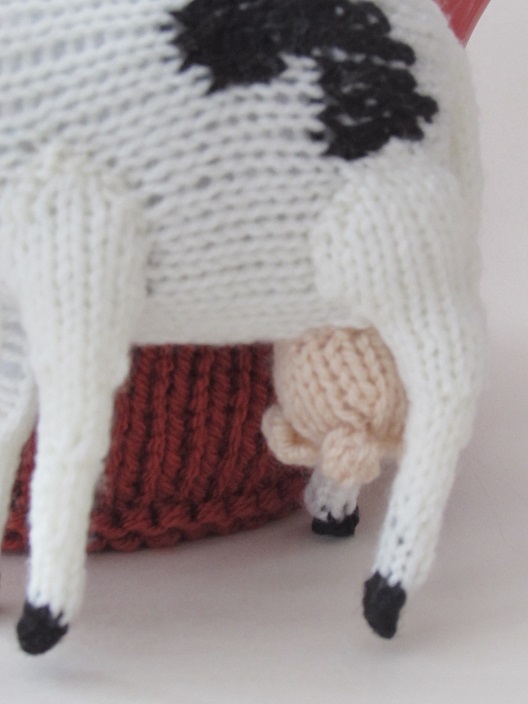 She has a peach nose, beads for eyes and of course the all important udders, udder-neath! 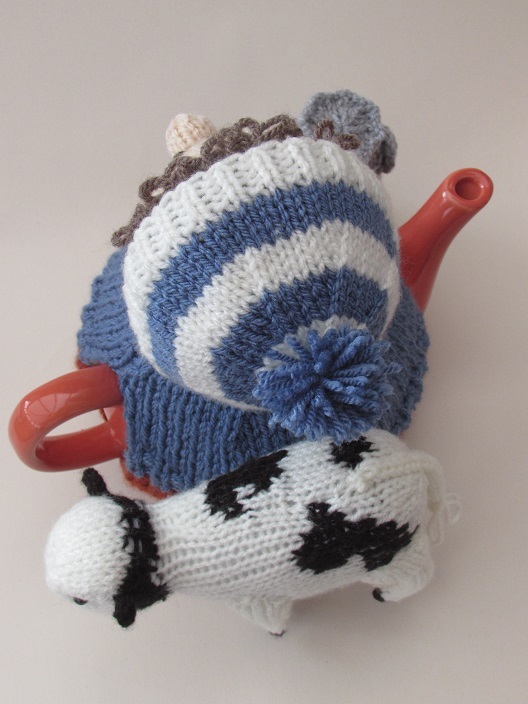 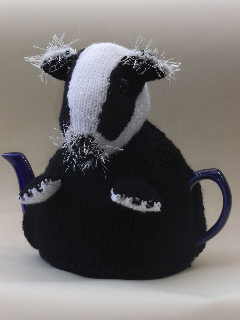 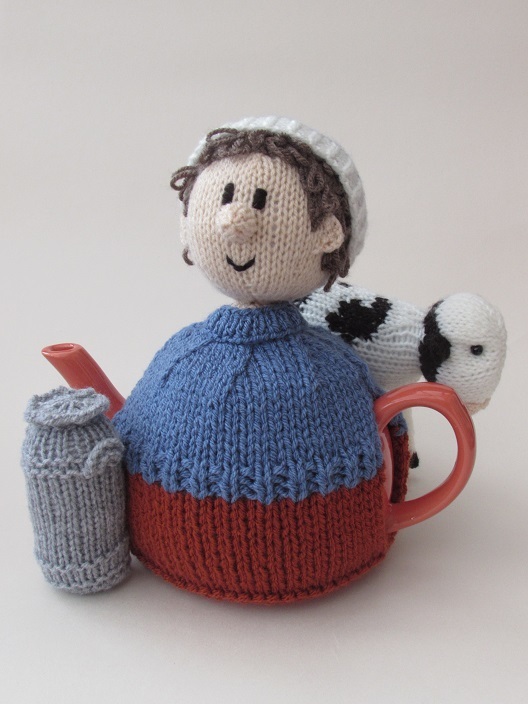 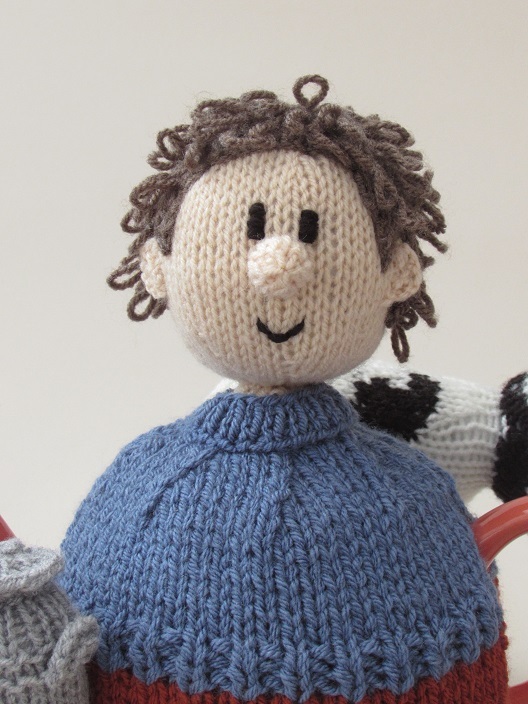 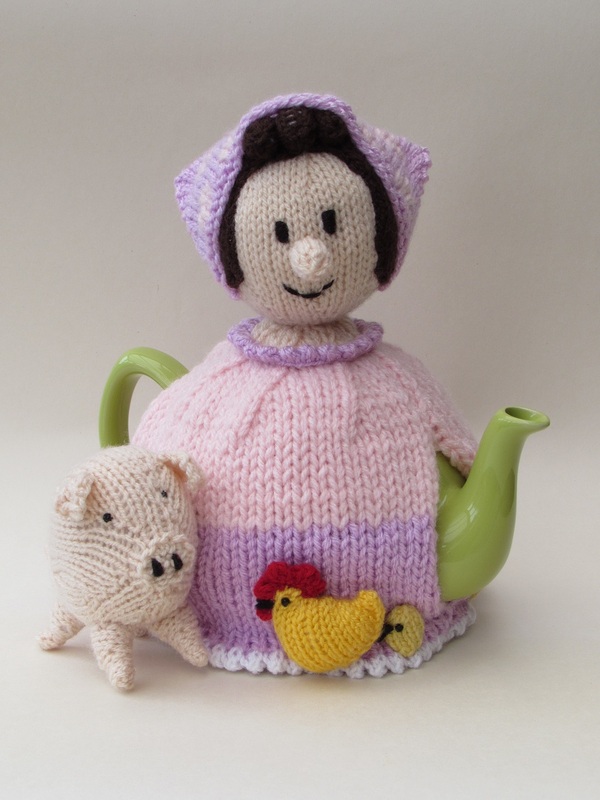 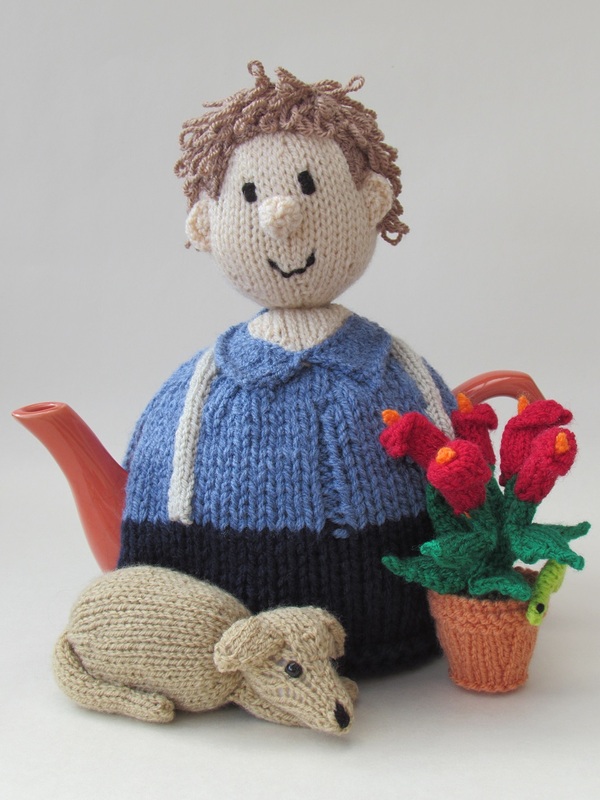 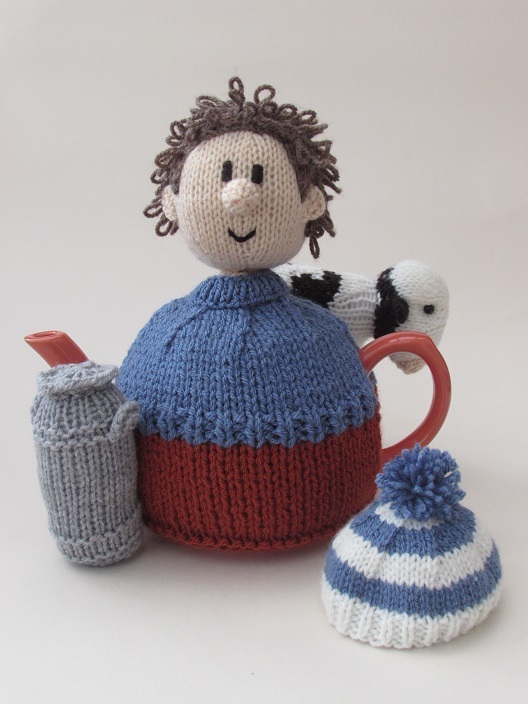 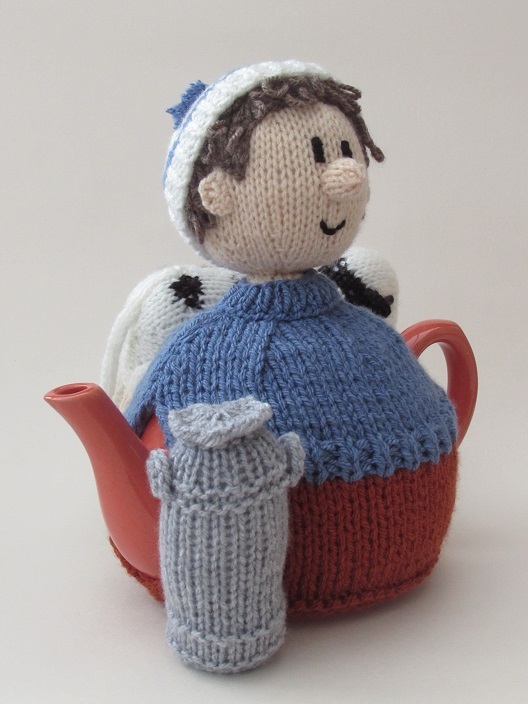 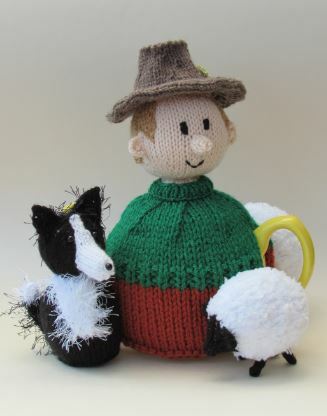 The Dairy Farmer tea cosy brings tea and milk together at milking time. 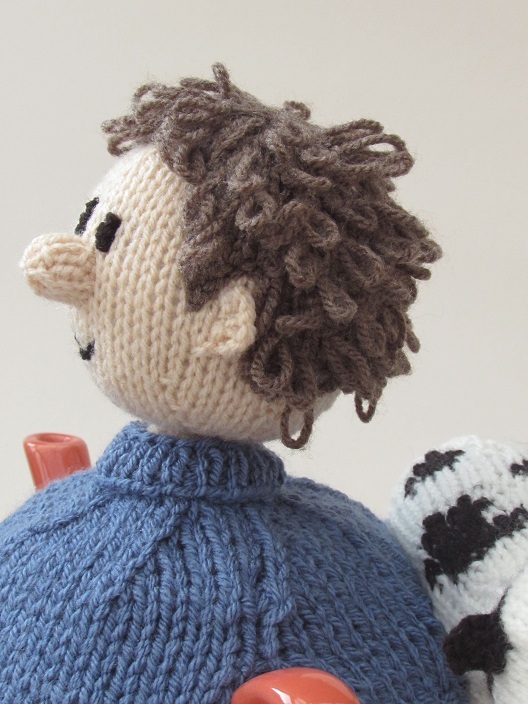 Two 6mm black beads and Stuffing.